There are NO TRIANGLES to cut in this quilt! Learn a fast—and accurate—way to make 8 triangle-squares at a time using pre-cut 10" squares. 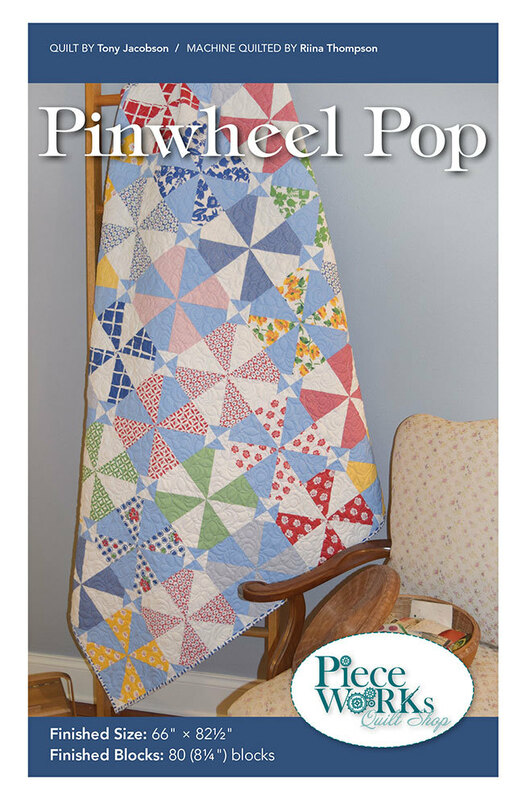 “Flippy Corners” are used to give the pinwheel blocks a little more interest.